We are delighted to announce a major development for our music groups Mayo Youth Orchestra, Mayo Concert Orchestra and Castlebar Concert Band. After a period of twelve years we have secured a building which we hope to call the Mayo Academy for Performing Arts (MAPA). This will have significant benefits for our young musicians. By having our own building we can custom design it to include sound-proof practice rooms with appropriate visibility to support our child protection policy and an acoustically-pleasing performance hall. In addition, there will be storage facilities for larger instruments and equipment and the chance to develop a sound/recording room. We also hope to incorporate a parents' room where you will be able to stay while your child has a lesson or orchestra practice. This very exciting project is currently underway and a significant amount of work has been done to date. Unfortunately, we are very dependent on raising a large sum of money to adapt the building to our specifications. 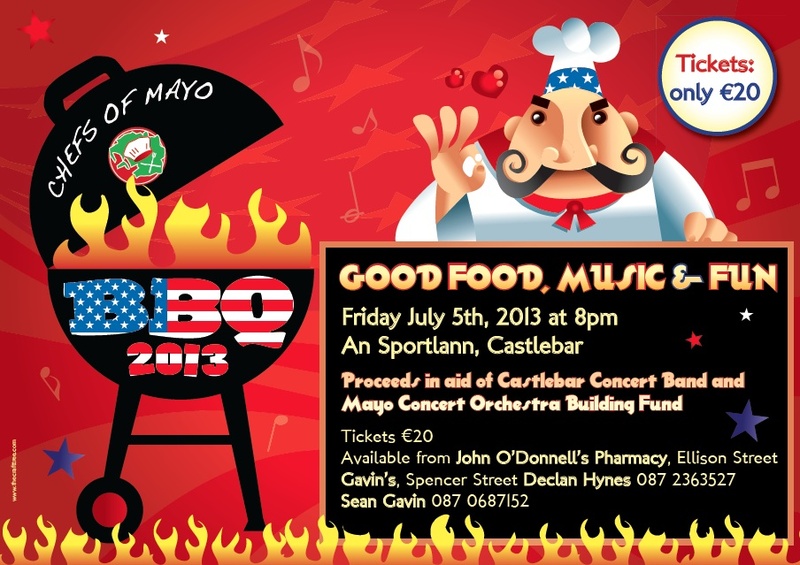 Our first fundraiser for this project is a Barbeque on Friday night, 5 July at 8pm in the Sportlann, Castlebar. Mayo Youth Orchestra will be performing at this. We would be very grateful if you could support this event and entice other friends and family members to come. It promises to be a great night. Tickets are €20 per adult or €50 for a family of two adults and two children.